Satirical analyses of New Zealand culture and society have often poked fun at the fondness of New Zealanders for forming and joining committees. As Austin Mitchell wrote in 1972, ‘[g]ive them a problem and they’ll set up a committee’. And although it is rarely mentioned in such contexts, Maori were early and fervent converts to this apparent national trait. Their problem was a big one: how to find a place for themselves in the colonial era following the signing of the Treaty of Waitangi in 1840 that did not involve being entirely subsumed by this new order. At stake was the very survival of Maori society itself. Over the years I have written extensively on the history of Maori komiti (committees), and related runanga (tribal councils), exploring the legacy of efforts on the part of nineteenth-century Maori to establish new institutions of self-government in the colonial context. My first book Agents of Autonomy: Maori Committees in the Nineteenth Century, published by Huia in 1998, was on this topic. Some six years later I completed a doctoral thesis on the same subject, followed by articles in the Journal of the Polynesian Society, Ethnohistory and elsewhere, along with another book (co-authored with David Armstrong) that featured the various tribal komiti of Te Arawa extensively (The Beating Heart). For the purposes of the present discussion I have adapted the introduction to my thesis (sans lengthy footnotes and some extraneous material), in order to provide an overview of some of my main arguments on this topic. A primary focus of my work with respect to komiti and runanga has concerned the nature of Crown responses to these, ranging from periodic efforts at co-opting officially recognised but grossly weakened komiti and runanga into the framework of machinery governing Maori, to studied indifference, and, at the other extreme, occasional outright persecution of such institutions. On the other side of the coin, I argue that the runanga and komiti of the nineteenth century were a remarkable response to colonisation on the part of those Maori men and women who formed them and that the importance of these institutions of self-government in the post-contact history of Maori society can scarcely be exaggerated. Such a conclusion is not premised on romanticised notions of Maori ‘resistance’ to colonisation. Indeed, regardless of the broader historiographical merit or otherwise of such labels, notions of ‘resistance’ versus ‘collaboration’ strategies have little currency in the context of a study in which komiti-style mechanisms of self-government were utilised by nearly all Maori communities, be they supposedly ‘loyalist’ or ‘rebel’ in inclination and outlook, in pursuit of the overriding objective of cultural and political survival. Put simply, runanga and komiti provided a mechanism for the preservation of intra-group cohesion, and a model for inter-group unity, at a time when Maori society was under severe danger of succumbing to the threat posed to its very existence by the new colonial order. At one level the nature of this threat was very simple: Crown politicians and officials saw no place for Maori customs and institutions within the newly-British colony. Assimilation remained the bedrock ideology underpinning all Crown policy with respect to Maori in the nineteenth century. From this perspective it was axiomatic that runanga and komiti had no future. In its purest conception, then, such a dogma could have only one possible policy outcome: active suppression of such institutions. Yet for pragmatic Crown officials, concerned with maintaining order, such an approach, as a general policy, remained potentially disastrous right up until the 1870s, and risky thereafter. Maori were simply too strong, militarily and demographically (despite a population base which was in decline through until the 1890s) to make active suppression a realistic option, except in a targeted or selective way. Given the spontaneous developments within Maori society over much of the nineteenth century to establish or revive stronger institutions of self-government, and the inherent risks involved in trying to suppress these, two further policy avenues remained open to Crown officials. The first of these, ignoring the runanga and komiti, was much less risky in the short term, but on the face of it did little to advance the assimilationist agenda. It was also not without its own dangers over time. Gains made in extending substantive British sovereignty into formerly Maori-controlled districts could be jeopardised by robust runanga and komiti acting as a counter to the diminution of Maori autonomy. Left unchecked, such institutions could simply become too powerful for the Crown to ignore. Co-option of unofficial runanga and komiti, or rather of the Maori aspiration to have legalised institutions recognised by the Crown, therefore remained a viable alternative. If such bodies were going to be established regardless of whether they received official endorsement, it was better by far, so this argument went, to have these under the control and direction of the Crown than outside of it. Active but unofficial runanga and komiti were an unpredictable and unmanageable element. Co-opted institutions, on the other hand, were not intended as mechanisms of self-government, but rather of indirect rule. They could, in fact, be utilised to further the assimilationist aims and serve as an instrument of the Crown rather than a threat to it. Yet this, too, was a risky strategy. Critics feared that, having achieved Crown recognition, Maori communities would employ such bodies to further their own ends, rather than those of the Crown. The risk lay in the possibility that Maori might reappropriate the intended mechanisms of co-option in altogether unexpected, or rather unwanted, ways. Thus while the assimilationist ideology remained straightforward, and was widely-shared by Crown representatives and ordinary settlers alike, its policy implications were keenly contested. Targeted suppression, containment and co-option, and studied disregard, each had their supporters as preferred policy and were reflected in the actions of different officials and politicians over time. Prior to the 1860s (and in some areas thereafter) Britain’s paper sovereignty over New Zealand, and the desire of Crown officials to assert the primacy of British institutions and enforce the rule of law throughout the country, competed with the reality that substantial parts of the North Island remained under Maori control. The establishment of a highly formal, and Pakeha-controlled, Native Land Court in 1865 (a product of increased settler hegemony, and Pakeha demographic dominance, in the wake of the Waikato War of 1863–1864) constituted a new and significant threat to Maori society. Proponents of this new court envisaged it not simply facilitating the direct purchase by settlers of large areas of Maori land, but through individualising land titles and severing the bonds between rangatira and their people, also furthering the assimilationist agenda. Some Crown officials supported a role for komiti and runanga in undertaking preliminary investigations of land titles, thereby essentially facilitating the work of the Native Land Court. Others worried that such institutions would act as a barrier to both the alienation of lands and to the court’s role as an agent of assimilation. It was precisely because the Native Land Court was perceived as such a successful mechanism of alienation and assimilation that many Crown officials feared taking any steps to legally recognise runanga and komiti. Left unaided, through a policy of deliberate indifference, such institutions might die a natural death, hastened in no small way by the work of the Native Land Court. From a Crown perspective, there were good arguments on both sides of the debate, however, and the policy outcomes were again subject to fluctuation. Maori communities were fully aware of the threat posed by the Native Land Court, both in terms of the havoc it had the potential to cause to their social organisation and the substantial reduction in their landed base it promised to bring about. 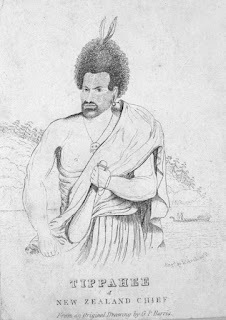 It was largely, though not solely, with these threats in mind that the 1870s witnessed a major revival and reinvention of komiti to act as a counter to the Native Land Court, just as the 1850s had earlier seen runanga undergo a similar transformation when confronted for the first time with the General Assembly and settler government. Revamped runanga and reappropriated komiti remained at the forefront of Maori efforts in the nineteenth century to establish a relationship with the Crown posited on partnership, rather than on acceptance of the primacy of Pakeha institutions and ideas. These mechanisms of self-government were not, as many settlers at the time believed, a mere imitation of Pakeha institutions, but nor were they simply a reversion to ‘traditional’ structures, however these might be defined. Instead, the runanga and komiti of the post-Waitangi era had distinctly bicultural pedigrees to them, even whilst being employed in pursuit of identifiably Maori aspirations. Runanga and komiti began as culturally distinct institutions, the former of Maori origins and the latter a missionary-imported mechanism of social control, later reappropriated by Maori to serve new ends. In blending indigenous and exotic influences runanga and komiti became, by the later nineteenth century, more or less indistinguishable from one another. Distinct new institutions of self-government which remained identifiably Maori, yet with other cultural roots as well, had been developed. This was not tacit deference to a superior civilisation, or acceptance of the assimilationist agenda. It was rather evidence of a spirited and resilient society responding to the challenges which confronted it with the best means available. All successful cultures throughout human history have had the capacity to absorb new technologies, resources and ideas from other societies and to adopt and adapt these in ways that aligned with their own priorities. Maori in the nineteenth century were no exception to this rule. The runanga and komiti which Maori established, reformed, reviewed, co-opted, adopted, adapted and appropriated were indeed, therefore, ‘agents of autonomy’. Yet they were not free agents. As David Chappell has warned, an historiography of indigenous peoples that privileges agency in a well-intentioned backlash against earlier ‘fatal impact’ histories, can, if given paradigmatic status, perpetuate colonial narratives in a new garb. Victims need not be passive, and agents are rarely free from constraints that limit their range of potential actions. Agents and victims are not, as Chappell noted, ‘mutually exclusive categories but contextually signified roles’. This seemingly simple truth is also a highly pertinent one to keep in mind when considering the history of runanga and komiti in the nineteenth century. Different cultures and societies tend to view their own institutions and customs as natural, normal and value free. Take our legal system. Although this emerged from a particular historical and legal context, being based on English common law, it is often seen as a neutral framework for dispensing justice. Whether that is the case today is for others to say (Moana Jackson, for one, would argue that the New Zealand legal system is not value free). My focus here is instead on some fascinating evidence regarding how Maori and Australian Aboriginal peoples viewed British notions of justice in the early contact period. The punishments of the New Zealanders are not commonly severe. They strongly reprobate the punishments adopted by the white people, as extremely cruel. Theft, if persevered in, is sometimes visited with a severe blow from a stick or paddle across the head; — the breach of a tapu, with the loss of property; — cursing, with the same punishment; — adultery, with death. The exclaim loudly against our method of executing criminals; first telling them they are to die; then letting them lie for days and nights in prison, to think over what is to happen to them; and then leading them slowly to the gallows, and keeping them waiting some time at the foot of it, before they are hanged. “This,” when we upbraid them with cruelty, “this,” say they, “is more cruel than any thing we do. William Yate, An Account of New Zealand and of the Church Missionary Society’s Mission in the Northern Island, London: R. B. Seeley and W. Burnside, 1835, pp.104-05. Yate’s description of the general Maori attitude towards British forms of punishment is borne out by a much earlier incident that I describe in The Meeting Place: Maori and Pakeha Encounters, 1642-1840. Two soldiers and a convict were sent prisoners from Port Dalrymple to be tried by a Criminal Court for stealing some pork from the King’s stores at that place. Tip-a-he attended their trial on the Friday, and one of them was ordered for execution on the following Monday. As is usual, they attended Divine service on the Sunday. As everyone was much affected at their situation, Tip-a-he was not wanting in commiseration; but the instant the service was ended he went to the criminals and embracing them accompanied them back to the jail, where it appeared they gave Tip-a-he a petition to present to me. On returning to Government House he came into the room where I was writing, and in a very earnest manner, and I believe from the full force of conviction, he endeavoured to reason with me on the injustice of slaying men for stealing pork, and at the same time shewing the severest sorrow and grief for their fate, which he concluded by taking the petition out of his pocket and giving it to me, at the same time shedding tears. He threw himself prostrate on the ground, sobbing most bitterly. Observing that I did not give him any answer or hopes than by saying I should consider of it he left the room and did not make his reappearance until the hour of dinner, having taken off the dress he had made here, and appeared very violent, exclaiming in most furious manner against the severity of our laws in sentencing a man to die for stealing pork, although he admitted that a man might very justly be put to death for stealing a piece of iron, as that was of a permanent use; but stealing a piece of pork which, to use his own expression, was eat and passed off, he considered as sanguine [i.e., bloodthirsty] in the extreme. 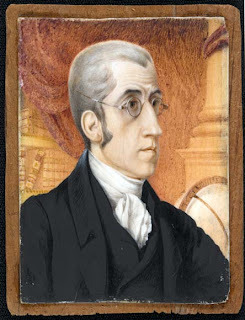 With much earnestness he urged his being allowed to take them to New Zealand, where taking provisions was not accounted a crime; and so earnest was he on this expedient that he went to the master of an American vessel, then lying here, to request he would take them to New Zealand, where his ship would be loaded with potatoes as a recompense for their passage. During the three days that the fate of these criminals were pending Tip-a-he would take no nourishment whatever, and in several instances was inclined to be very furious. However, on its being signified that two were forgiven and that neither of the others would be executed at Sydney, he came about by degrees, but would never be reconciled to the idea of men suffering death for taking wherewithal to eat — a natural reasoning for one who inhabits a country where everything of that kind is common, and where their other wants are but few. Robert McNab (ed. ), Historical Records of New Zealand, 2 vols, Wellington: Government Printer, 1908, vol.1, pp.264-65. From Te Pahi’s perspective, if a person was hungry the appropriate response was to feed them. The British decision to execute a man simply because he had helped himself to food was seen as nothing short of cruel and barbaric (a reaction which serves as a reminder of the much less hierarchical nature of Maori society at this time — resources were for distribution, not to be hoarded by a wealthy elite). 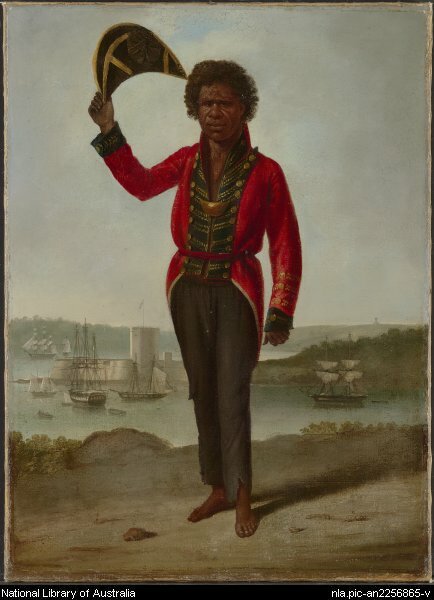 It is interesting to note that many Aborigines responded similarly to British forms of punishment. Inga Clendinnen writes in her excellent book Dancing With Strangers of scenes in which Aboriginal groups summoned to witness the flogging of convicts in punishment for some crime or other (often committed against the Aborigines in question) also broke down in tears and pleaded with the governor to put a stop to it, or else tried to do so themselves. 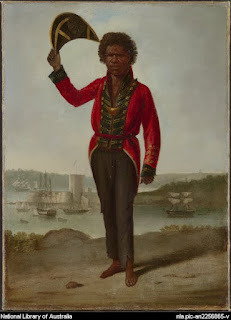 As Clendinnen says, where the British ‘saw right order made visible, with God and King behind whipping post and gibbet, the Australians saw disgusting, wanton cruelty.’ The irony is that the British increasingly came to view Australian Aborigines as belonging to the very bottom rung when it came to a racial hierarchy of peoples (the English, of course, occupying the top spot). Alan Ward’s A Show of Justice: Racial ‘Amalgamation’ in the Nineteenth Century (1974) remains the best work on later Maori responses to the legal system (and, for the twentieth century, see the two books by Richard Hill). I have also written about nineteenth-century Maori responses to English law. Here is a link to a paper entitled ‘English Law and the Maori Response: A Case Study from the Runanga System in Northland, 1861-65’. Henry Reynolds and others have explored the story of Australian Aboriginal engagement with the law.